"Huge Puzzle…On A Planet Where We Thought We Know Everything"
Of course this will soon to be shown to mean scientists have grossly overestimated the amount of CO2 in the past, that it’s worse than we thought, and that climate change is pushing curious shrimps and foot-long jellyfish on the edge of extinction. I hereby nominate Dana Blankenhorn’s blog “That cold snap was global warming in action” as the dumbest of 2010 (so far). The question now is: has that entry by itself removed any meaning from the website’s name? How can a place called “Smart Planet” get it so spectacularly wrong? Tragic as it is, the death at the age of 70 of Canon Hereward Cooke on Dec 15 in Copenhagen after having cycled in a snowstorm is the stuff of a Darwin Award. One might even be forgiven if thinking of it as foretold by the near-misses of failed Polar kayaker Lewis Pugh in September 2008, and of the cold and starving Catlin Survey team almost stranded in atrocious Arctic weather in April 2009. Is this a way to confirm Timpanogos/Ed Darrell‘s suggestion that “you guys cheer at train wrecks and hit-and-run auto-pedestrian accidents, too“? I think not (even if I should thank Ed for comparing the lesser Milliband and Gordon Brown to train wrecks and hit-and-run accidents). There is something enormously serious about climate-related deaths. Compared to that, the misadventures of True (AGW) Believers getting themselves and others in trouble for almost no reason at all, well, those become laughable indeed. Remember the infamous 2003 Summer Heatwave in Europe? Wikipedia claims it killed “more than 37,451” people (the Earth Policy Institute sums up a toll of “more than 52,000“) across the Continent. Now take “excess winter mortality” in England and Wales alone, and despair: according to the Office for National Statistics, in 2008/2009 the number of additional deaths “compared with the average for the non-winter period” was 36,700. One can only imagine a grand total of excess winter deaths for the whole of Europe in the hundreds of thousands. And that happens every single year, whilst the 2003 Heatwave is just an exceptional event that caused for example a total of 2,139 excess deaths in England and Wales. Notably, in England and Wales even the 2003/2004 winter saw more than 20,000 excess deaths compared to a non-winter period that included…the August 2003 heatwave. Given the way things are shaping up at the moment, the 2009/2010 numbers will likely be in the 30,000-40,000 range too…I am perfectly sure if we had tens of thousands of excess deaths during a hot summer in the UK, even the rocks would be yelling out about the perils of Global Warming. But since those people are dying because of the cold, one might have to guess it must be alright.. If the following winter is warmer than the average, go back to 1. The extraordinary conclusions of the Epica 2008 “Quaternary Climate” scientific conference (Nov 10-13, Venice, Italy) have elicited little interest in the media. AGW-related catastrophism is going the way of the dodo. Alas, so far there’s been no space to mention that in the vast majority of mainstream newsmedia. 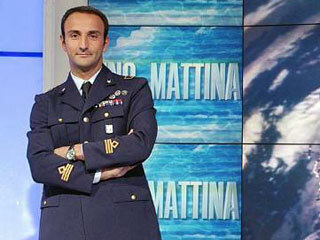 I have to admit, I would have known nothing about Epica 2008 were it not for Italian climate blog “Climate Monitor” by Major Guido Guidi, weather and climate expert of the Italian Air Force. 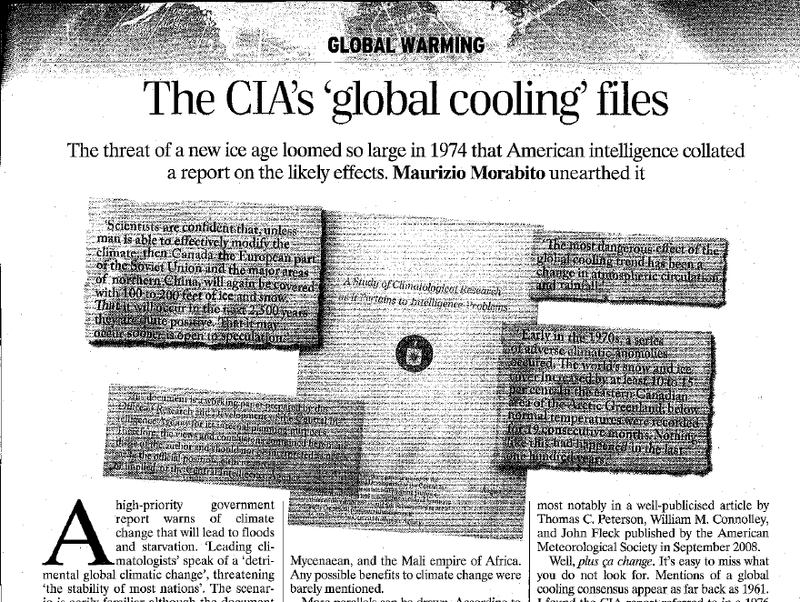 One can only thank Guidi, and Turin newspaper “La Stampa”‘s science supplement “Tuttoscienze” for deciding to mention the results of the analysis of a 3,230-meter ice core extracted at “Dome C”, 75S 123E’s Concordia Base in Antarctica. That’s the deepest ice core ever extracted. 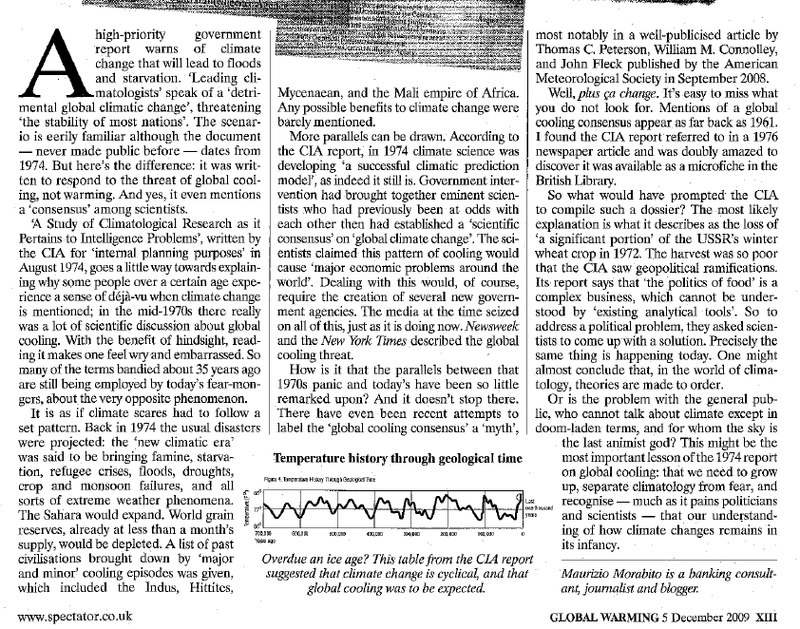 Paleoclimatologists to the rescue then, cajoling to recover at least part of their past relevance after being outclassed by climate modelers as the main reference group able to talk to the politicians. With iron availability near zero at the moment, it is therefore little surprise that CO2 has been increasing, admittedly to record levels compared to the past 800,000 years. In other words it may be not just a matter of human emissions, but also of momentarily-inefficient present-day “carbon sinks”. 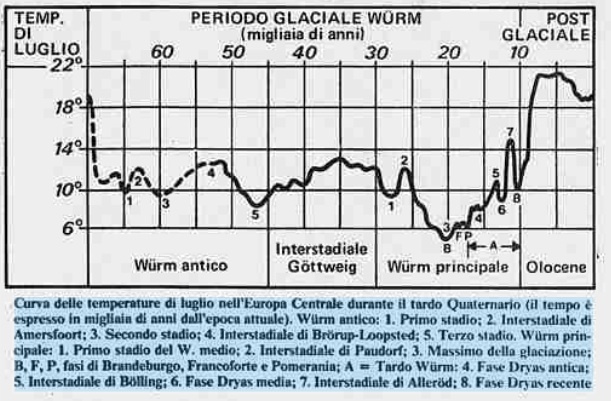 Beccaria concludes that next step is to investigate the “warm periods” in order to find clues about the present situation. For me the above demonstrates how stupid AGW catastrophism like Mark Lynas’, Al Gore’s and Jim Hansen’s is and has been for many years. “Stupid” in the sense of hurting the rest of the world (by impeding an appropriate analysis of the history of climate change and past “warm” phases, thereby spreading blindness towards probable causes and possible effects); whilst hurting its own cause (by convincing people the magnitude of the challenge is so great, there isn’t much that can be done). The most they can show is a cursory series of conferences leading to little promises for 10 years in the future, and grand promises for 50 years (so Governments have “only” 49 years to renege on their big promises). On second thought, that may truly be a good thing.